Christmas of 1985 is one of my fondest childhood memories. Not only is it the first holiday that I can remember, but the cornucopia of presents under the tree were comprised of Masters of the Universe toys. Man-E-Faces, Hordak, Roboto, Mantenna, Leech, Mekaneck, Beast Man, Horde Trooper, Grizzlor, Spikor, and my Dad’s favorite, Stinkor. Even with the overwhelming roster of bad guys in the collection, Santa Claus had orientated me on all things, He-Man. So I naturally gravitated towards the first ever feature-length documentary on the most pivotal aspects of the He-Man franchise. When watching Toy Masters, it’s apparent right from the start that the subject matter is a labor of love for filmmakers Roger Lay Jr. and Corey Landis. Their experience with the Power of Grayskull inspired the journey to document the origin of the phenomenon that inspired a generation. However, this fun-filled childhood adventure that generated billions of dollars comes with a 30-year battle for credit over He-Man’s creation. Right off the bat, there is no simple answer to who deserves the credit for creating He-Man. That doesn’t stop Lay and Landis from digging to find one clear answer. Most documentaries eventually discover the mastermind behind the curtain. However, every comment, explanation, denial and/or exhibit of proof to substantiate a particular claim of creation makes a strong case that the sum of its parts is greater than the whole. This revelation forces the film to shift its exploratory tone from finding the creator to discovering who fashioned each facet of the operation that made the franchise a massive success. Of course, all while holding out hope that a sole proprietor will be revealed. 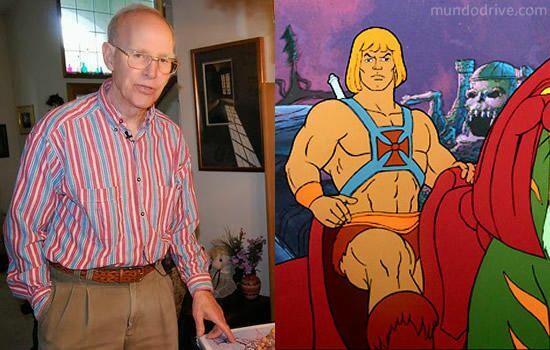 Preliminary designer Roger Sweet believes his creation of the initial prototype figures birthed all things Eternia while production design artist Mark Taylor believes his He-Man style drawing four years before the toy line was launched spawned Masters of the Universe. Paul Cleveland, a former vice president of marketing at Mattel, believes that what he brought to the table makes him the inventor of the property. Everyone that lays claim to the sword of power makes a good case for themselves. Then you have Roger Sweet, who presents solid facts weaved with what sounds to be head-scratching fiction. The documentary doesn’t imminently jump on what was probably a tempting opportunity to cast Roger in the light of the film’s villain/outcast. Roger was given every opportunity to respond to any claims against him and clear up contradictions in his story. Unfortunately, he goes down the rabbit hole of negativity while making some crazy demands that make it impossible not to look at him as a quack that rules him out as the man responsible for the Thunder Punch He-Man I got for my 7th birthday. The original 80’s Filmation cartoon, the critically panned 1987 motion picture starring Dolph Lundgren, the loathed and short-lived The New Adventures of He-Man animated series and the acclaimed 2002 reboot are all examined with everyone pointing to one principal antagonist…Mattel. Their final say over all forms of production being driven by toy sales revealed a permeating stench of greed, inevitably dooming the franchise at every turn. The Filmation crew really had a passion for creating a quality show and believed MOTU was that show. However, being forced to put more emphasis on the Bashasaurus toy vehicle being released as opposed to the story ultimately produced a lack of quality control on all fronts. Mattel doesn’t comment on the matter, and wisely so on their part. Any carefully crafted statement could inadvertently open the door to a fleet of lawsuits and massive payouts. Despite the enormous ground that the film covers, Toy Masters is aptly named because it was the toys that drove all things, He-Man. Lay and Landis do an efficient job of detailing the facts and accounts while never losing sight of the task of discovering a creator, even with some detours along the way. While we don’t get one definitive answer, we do get several admissions of contribution that takes the viewer on a journey within a journey, which is equally as satisfying. Truth tends to be stranger than the fictional adventures of He-Man and the Masters of the Universe. 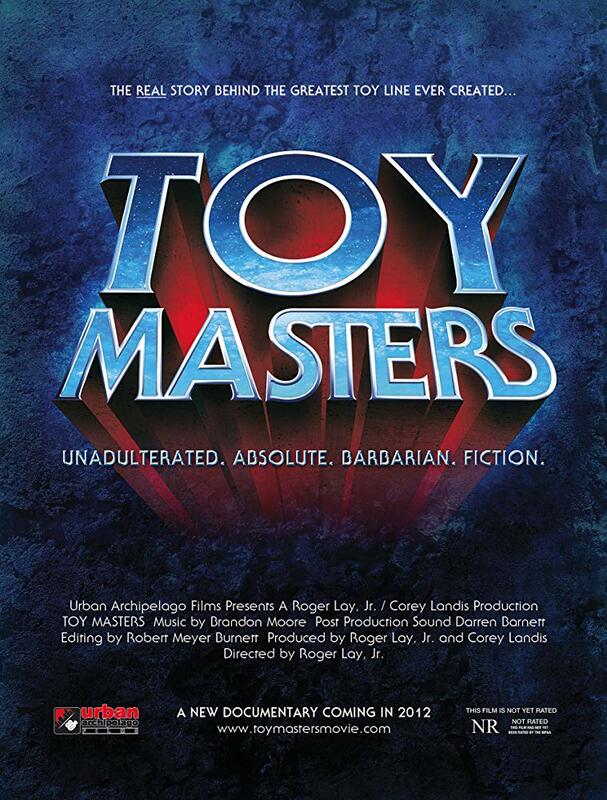 ***Reportedly, problems behind the scenes along with the release of the Netflix series The Toys That Made Us, has stalled out the release of Toy Masters. 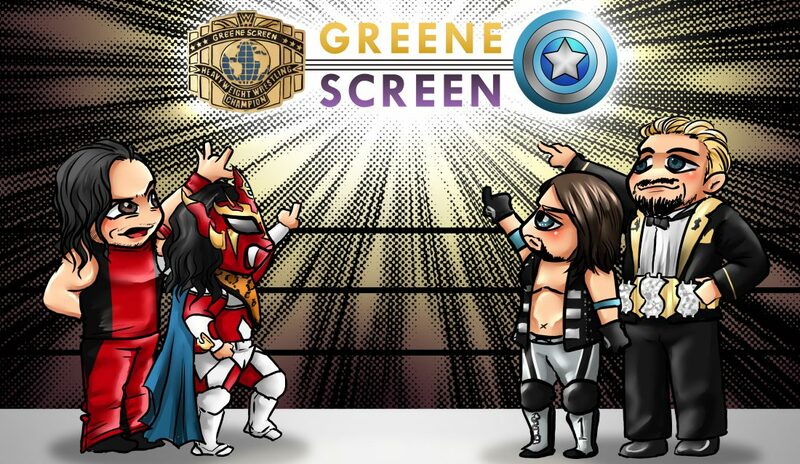 The movie was sporadically screened at various film festivals and pop culture conventions, beginning at 2012, with the intent of a hyping a future full release. Hell, I remember the previews for it, too. I wonder what happened really happened to it!